Plaza outside Templo de Santo Domingo. We spent four weeks in Oaxaca and covered most of the centro area during our stay as well as some forays outside the town. This is a list of the favorite places we ate, shopped, or visited during our stay. We didn’t do much cooking in Oaxaca so we had a lot of opportunities to sample food at street stands, in markets, and in restaurants. These were our favorite places where we ate. We ate four times at this seafood restaurant, located only a few blocks from our AirBnB. The quality of the food and the prices were excellent. We especially loved the daily shrimp specials. This is a tacos place, also near where we were staying, that specializes in al pastor tacos with pork sliced off a vertical spit, like a Turkish kebab. Tacos here are cheap and excellent. We ate here once. They specialize in fish and shrimp tacos, and they were very good. We ate here three times for coffee and their fantastic cinnamon rolls. Very popular with gringos. We didn’t try their breakfasts, but they looked good. A restaurant Serving native Oaxacan cuisine with a gourmet flair. We ate here twice. The daily special for 85 pesos is different every day and includes a starter, entree, bottomless agua del dia, and dessert. Portions are small but excellent. We had the daily special on two visits. The first visit was lentil soup, chicken taquitos topped with a mole-like sauce and crumbled cheese, steamed veggies on the side, apple empanada and a small scoop of sorbet for dessert. The drink was apple flavored agua del dia. The second visit was tortilla soup, sweet potato torta (with the sweet potato taking the place of the bread and a filling of some sort of cooked greens, with steamed veggies with edible flowers on the side, fried bananas topped with ice cream and sweet crumbs for dessert, and Jamaica for the drink. Located near the Soriana store where we shopped at the end of Independencia. We ate here three times and the tortas are excellent and cheap. I recommend the Cubana and the Especial. I think the Cubana was 25 pesos. This is a food cart on the corner of Jardin Conzati. We only discovered this place near the end of our stay, but I have to say, after eating tortas at several places in Oaxaca, this place is the best. 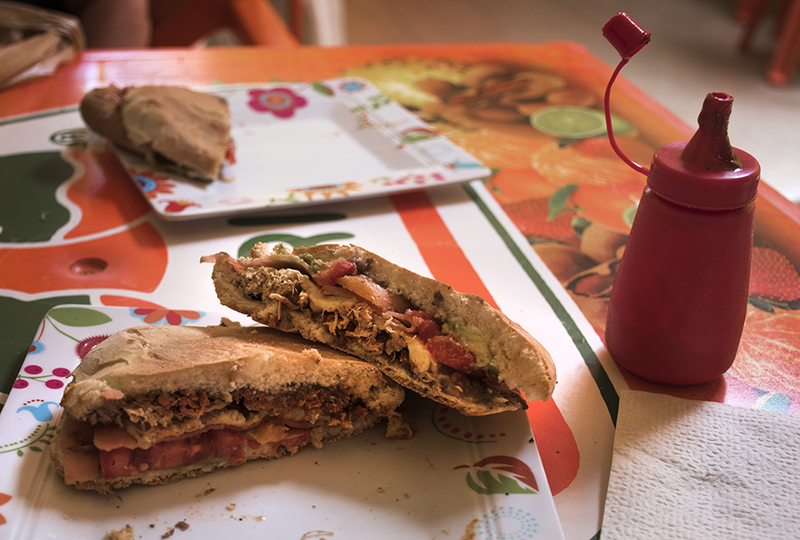 The Cubana torta (my standard for comparison) here had more filling and was better than the Cubana at Milloncita Tortas, but costs 40 pesos, so more expensive. This Italian restaurant is located on Jardin Conzati. They have a special M-F from 2-6pm with choice of pasta, salad, or mini pizza with drink and dessert for 99 pesos. You can upgrade your soft drink to a beer or glass of wine for 10 pesos, so for just under $6 you can get a nice pasta meal with glass of wine and dessert. The meal also included bread and a serving of crispy roasted garlic slices in olive oil. We had the daily special twice during our stay. Located across from Templo Santo Domingo. This is listed on Google as a Mexican restaurant but they had an Italian lunch special for 120 pesos which included soup, lasagna, salad, small garlic breads, and a glass of wine. The lunch was really good and a also good value. Would go here again. 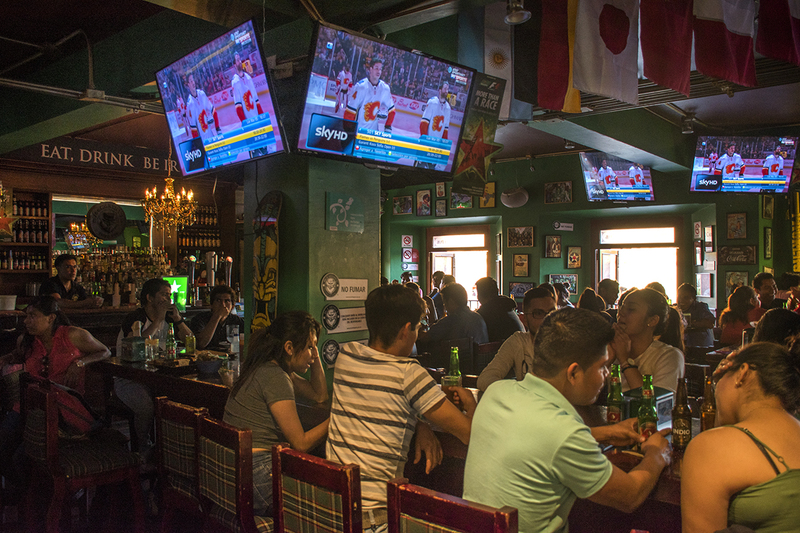 McCarthy’s Irish Pub…closest thing to an American Sports bar in Oaxaca. There isn’t much Irish about this place, no Irish food here, but they do have Guiness. It’s more like an American sports bar with about 12 big screen TVs playing sports nonstop. Prices look high until you factor in the numerous specials. They offer 2-for-1 Mexican beers every day from 3-8pm and food specials Mon-Wed. We recommend going on Wings Monday or Hamburgers Tuesday. We went here twice, once on each night. The burgers were good and the wings were better, available with about a dozen different sauces for 5 pesos each. A good place to go if you are craving American pub food. There are Michoacana ice cream shops all over the place. I think they are like the Mexican Baskin & Robbins. We tried other places, including the very highly rated Pandiu ice cream shop where they mix the ice cream liquid after you order and gradually make crepe-like creations using spatulas. The ice cream we got at Pandiu was beautiful to look at and came with a chocolate bar stuck into it and a choice of 25 different toppings, but when all is said and done, the ice cream at Michoacana tasted better for one third the price. Ice cream from Pandiu. 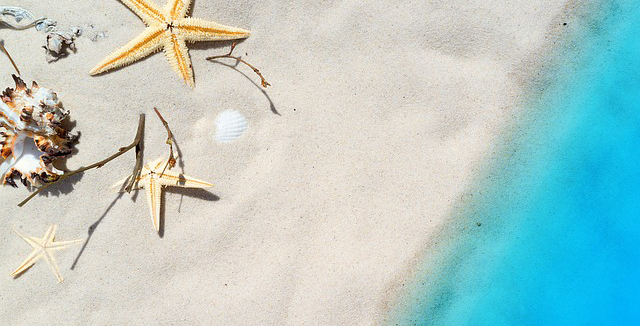 Not our favorite, but pretty to look at. We visited all the major mercados in town as well as countless shops selling mole, chocolate, mezcal, handicrafts, jewelry, and other items. These are the places where we actually spent money on things. 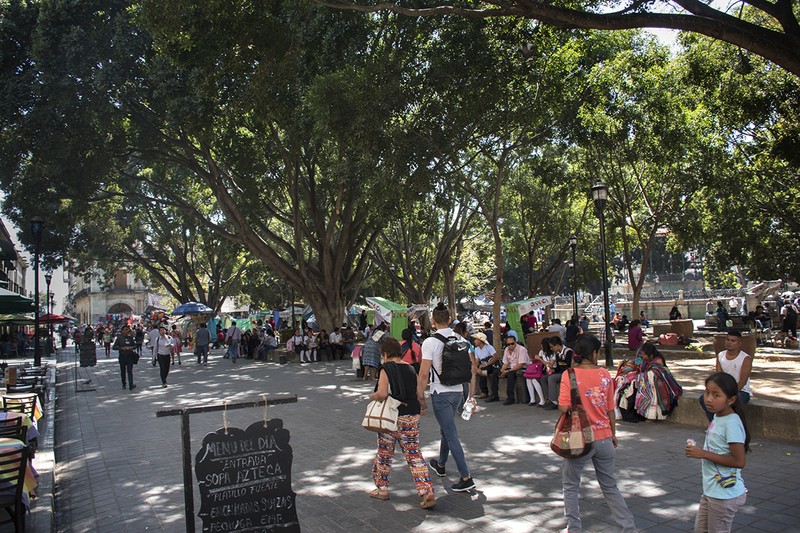 This market has an eclectic variety of foods, mezcal, artesanal crafts, modern necessities, and much more. There are many mercados in town, but we seemed to end up at this one the most. Also a good place to sample mezcals. This is a market which has only artesanal crafts including a large variety of woven and embroidered goods. We bought embroidered pillowcases here for gifts which we couldn’t find in other shops in town. After sampling mezcal at dozens of locations in Oaxaca, this is where we ended up buying bottles of mezcal to bring home. Great tasting mezcal at a great price. Located on Calle Abasolo. This store, on Calle Mina, sells chocolate and a good selection of prepackaged mole pastes (suitable for bringing home). They also sell mezcal and have an on-site restaurant. We bought some of their mole shortly after arriving in town and prepared a chicken mole dinner with it and thought it was excellent, so we went back and bought two kilos to bring back home. We sampled many different mole pastes all over Oaxaca and didn’t find any that we liked better. Their chocolate has very good taste, but it may be grainier than you are used to. This Zapotec archeological site is a must see if you are in Oaxaca. Truly an impressive place and surprisingly easy to get to and inexpensive to visit. Take a van from Hotel Rivera on Calle Mina for about 50 pesos round trip if you want to save money over a taxi. See our post on our visit to Monte Alban here. 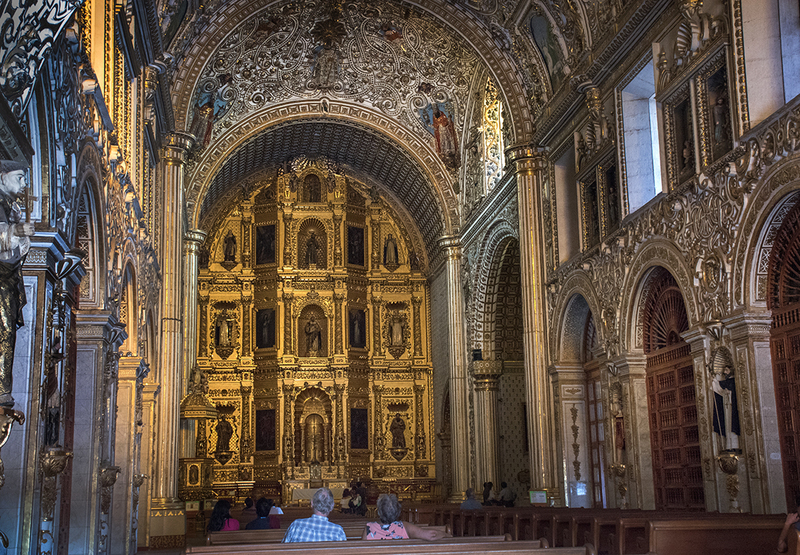 Interior of Templo de Santo Domingo…a baroque gold plated extravaganza. There are many churches to visit in Oaxaca, but if you see only one, this would be our choice. The gold encrusted baroque interior has to be seen to be believed. A prime example of the opulence of the Catholic church. 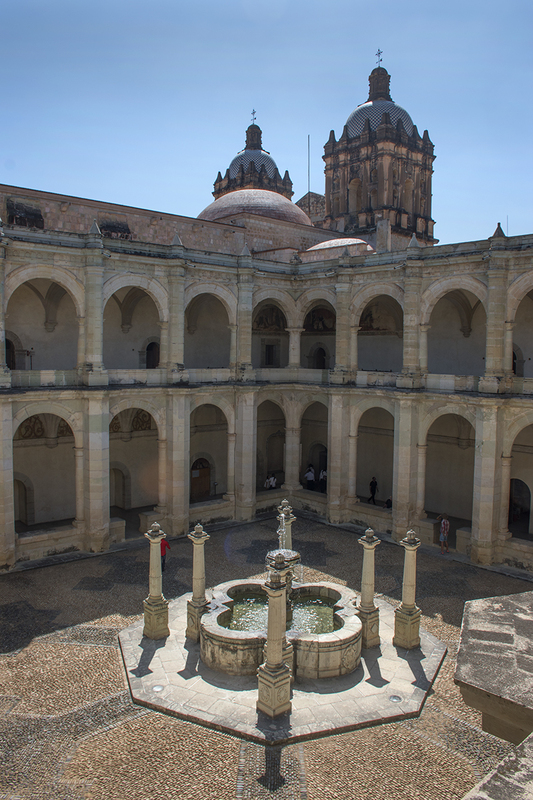 Plaza and fountain in Museo de Cultura de Oaxaca, a former convent. 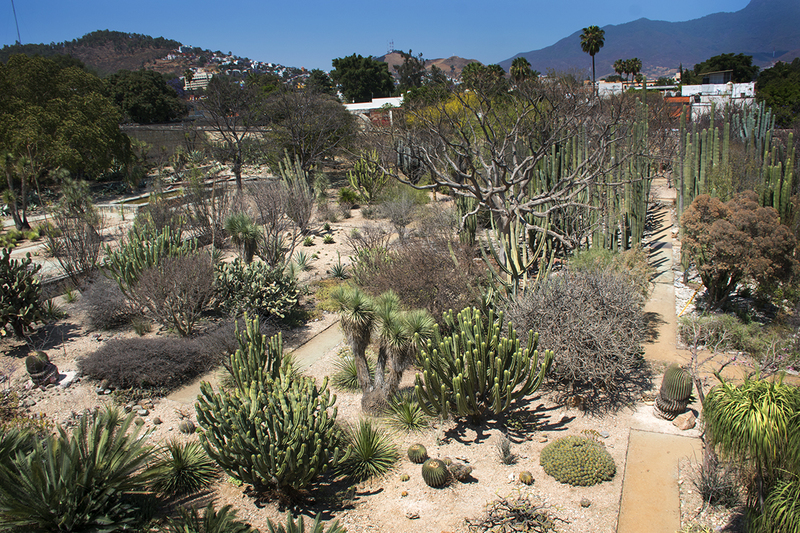 Ethnobotanical garden, behind the museum. Located next to (or attached to) the Templo Santo Domingo, this museum was formerly a convent. There is a large collection of artefacts from Monte Alban, as well as a collection of items from the Spanish conquest onward. The building itself is as impressive as the collections contained in it, with many wonderful viewpoints and places for taking photos. At the back of the museum are the grounds of the ethnobotanical gardens, so we got to take pictures of that as well during our visit. 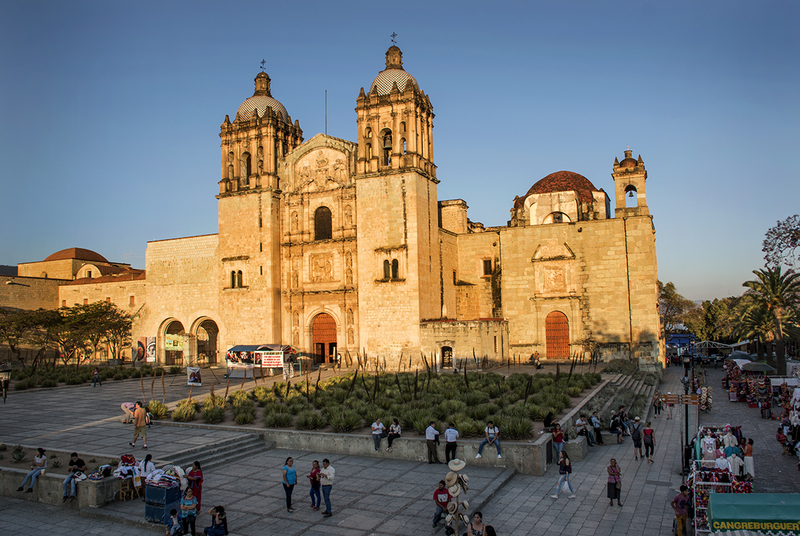 The zocalo in Oaxaca is our favorite we’ve visited in Mexico so far. 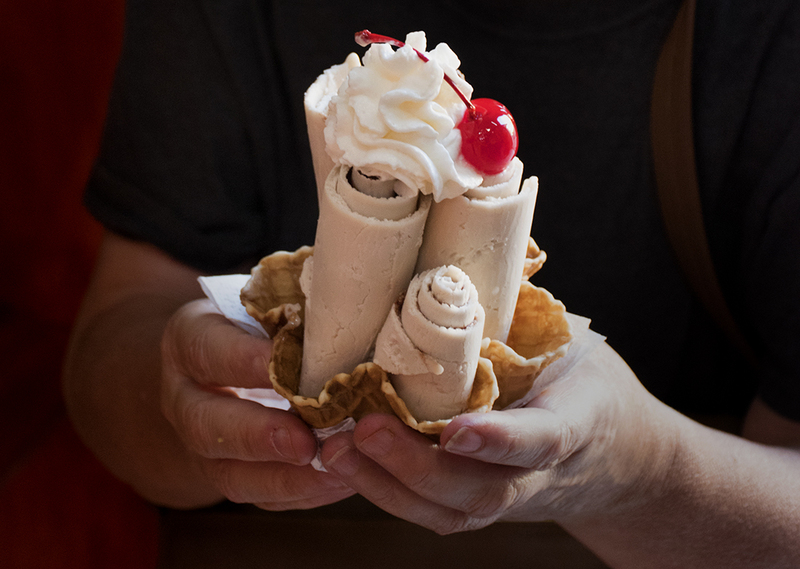 Grab an ice cream in La Michoacana ice cream shop on the corner and sit out front and just people watch for an hour. We love Oaxaca!!! Glad you guys got to stay so long as well. Hope everything is awesome with you two.